Bipasha Hayat is a famous, popular and leading Bangladeshi actress who acted in drama, film, and theater. She is the most talented actress of Bangladesh who showed her terrific performance in the movie “Aguner Parasmani” based on Bangladesh Liberation War. 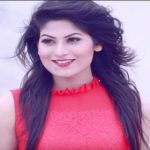 She is one of the best female actresses of Bangladesh showbiz industry and got much popularity within very short time. Bipasha Hayat was born on March 23, 1971, in Dhaka, Bangladesh. Her father, Abul Hayat, is a famous and well-known actor in the Bangladesh. Bipasha passed childhood with parents and dreamed of become actress. She has a sister named Natasha Hayat, who is also an actress. Bipasha Hayat attended the University of Dhaka and received master’s degree in Fine Arts. She made her debut in the film industry with acting in the blockbuster film Aguner Parasmani directed by Humayun Ahmed. 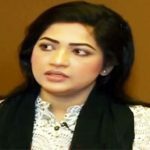 She acted in this film as a role of a young girl who was blocked in her house with her family inside the city of Dhaka. Her character’s name was Ratri who fell in love with a guerrilla freedom fighter, “Asaduzzaman Noor” hero this film who lived in their house for the duration of the war for shelter. Then Bipasha came into the spotlight and won the National Film Award as Best Actress in the film Aaguner Parashmoni. She married a famous actor of Bangladesh, Tauqir Ahmed on July 23, 199. They couple have two children a son and daughter respectively Arin and Arisha.